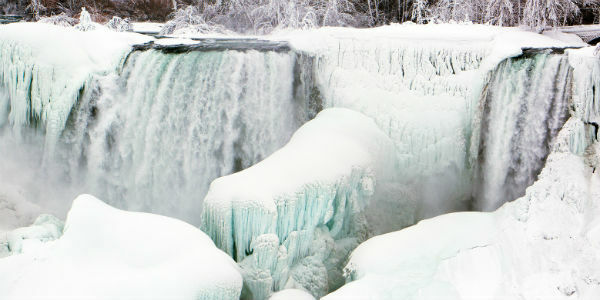 Niagara Falls comprise of three waterfalls that connect the international border between Canada and the United States. 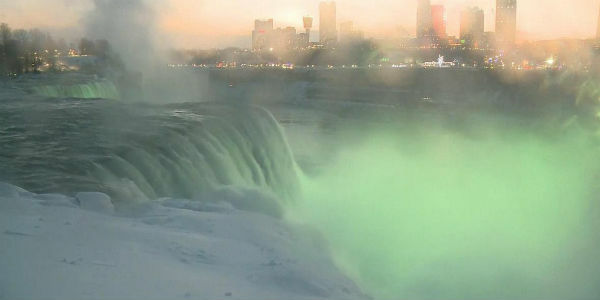 Every second more than 3,000 tons of water flows over Niagara Falls. 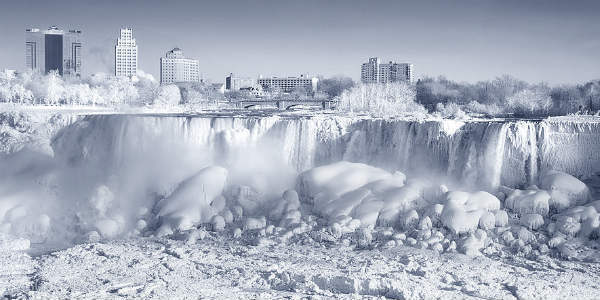 In fact, a huge number of gallons fall over each of the three falls that make up Niagara Falls. 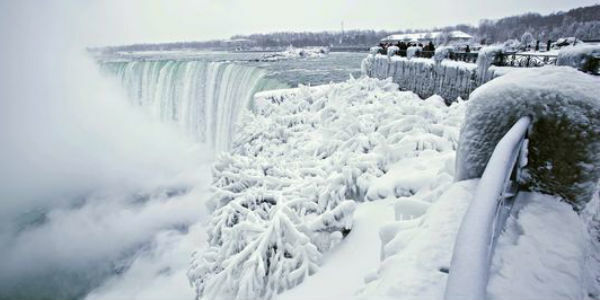 During winter, the falls transform into a winter wonderland. 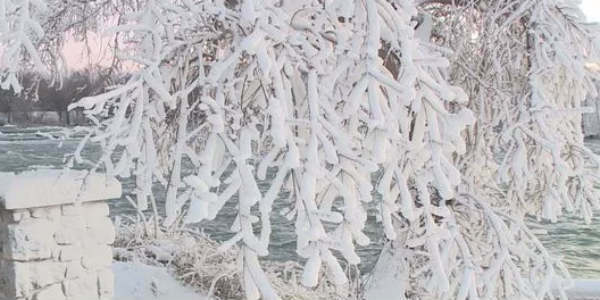 As per weathermen, snow is expected throughout the week, with temperatures settling between 8 to 21°F. 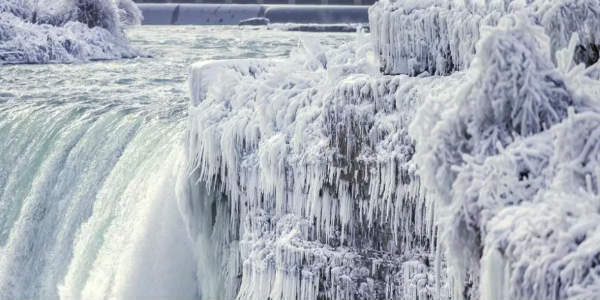 It is predicted that the wind chills would bring temperatures to below zero degrees.